Walk-In's provide a safe and independent bathing experience. Using the latest in tub crafting techniques and industrial grade materials Walk-In Tubs offer an impressive line to meet your specific needs. Walk-In Tubs offer the satisfaction and peace of mind needed to truly enjoy a luxurious soak. Built-in safety bar, contoured seat and Slip resistant textured flooring for added safety and stability. Door swings inward. Safest, strongest, and most relaxing tub on the market today. 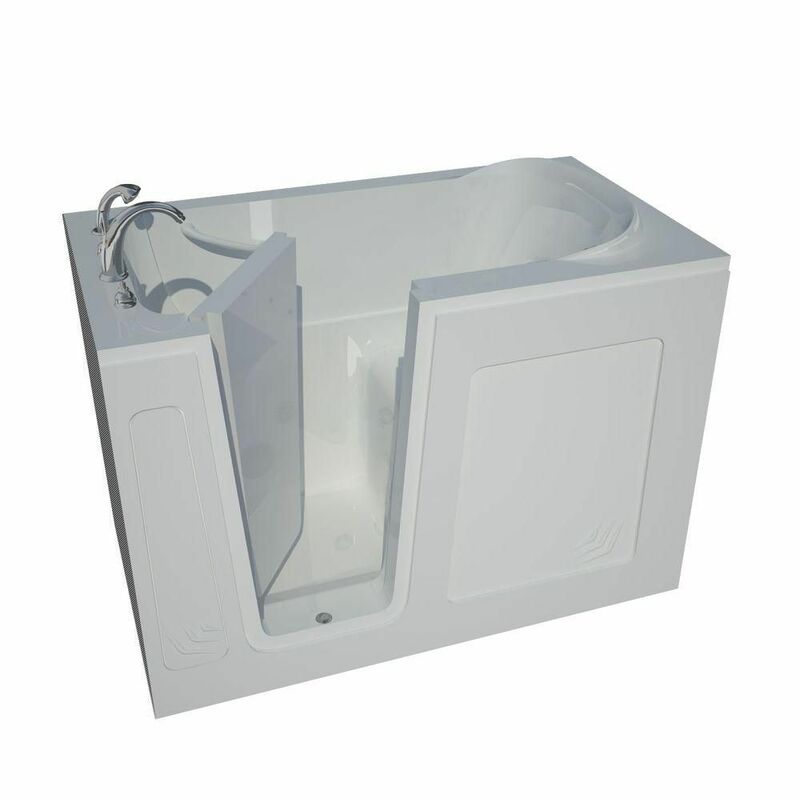 Steam Planet's walk in and accessible bathtubs are the highest quality tub on the market. With their lifetime warranted "inward" and "outward" opening waterproof door designs, their structurally superior fibreglass reinforced acrylic surfaced tub shells and state of the art whirlpool or air jet systems, you will see that "all tubs are not created equal." Steam Planet guarantees quality, durability, longevity, and stand behind all their tubs. If you are looking for a safer and totally relaxing bathing experience, Steam Planet tubs are your choice. Amber's simplicity is it's greatest strength. This gorgeous one piece tub is perfect for any retro fitting project and offers a stunning one piece skirt finish that completes any bathing room. Curve Stone's freestanding series style can be interpreted as both contemporary and classic design, allowing full enjoyment of deep soaking comfort. It creates an elegant, functional centrepiece for your bathroom and the focal point for relaxation. Aesthetically appealing and physically soothing, merging both worlds into a triumph of elegance. Garnet's simple elegance inspires imagery of the unique and contemporary design of Japanese ceramic tableware. At just under 6 feet with 32 inches across this tub has plenty to offer when it comes to luxurious soaking space. 4 Feet 6-Inch Walk-In Non Whirlpool Bathtub in White Walk-In's provide a safe and independent bathing experience. Using the latest in tub crafting techniques and industrial grade materials Walk-In Tubs offer an impressive line to meet your specific needs. Walk-In Tubs offer the satisfaction and peace of mind needed to truly enjoy a luxurious soak. 4 Feet 6-Inch Walk-In Non Whirlpool Bathtub in White is rated 5.0 out of 5 by 1.